It’s great story for paragliding school in Nepal. Last 14th January 2017 Saturday In the morning 9 AM, 23 Nepalese paragliding pilots flew from Near of Mardi Himal Sinke Danda. They did fly successfully 3356 m height. successfully flew 3200 m height with Senior Instructor Sano Babu Sunuwar on last year too. High Altitude training is very important for the pilots. Pilots can learn about flying with high altitude, how to land, how to save life from high altitude flying as well many more. 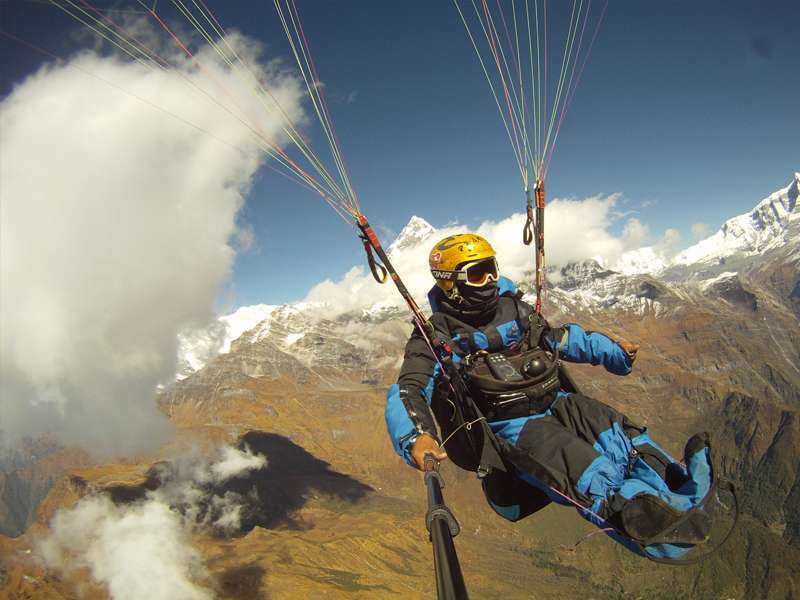 Babu Adventures School is the first and government authorized paragliding school in Nepal. we provides beginner to instructor level course. Our headquater office on located Swarek 1 Syangja Nepal. You can contact for course below this address. Re-Build three school building with in a month at Okhaldhunga. Updating from RAMECHHAP earth quck relief. Big Thank You to All Babu Supporters!